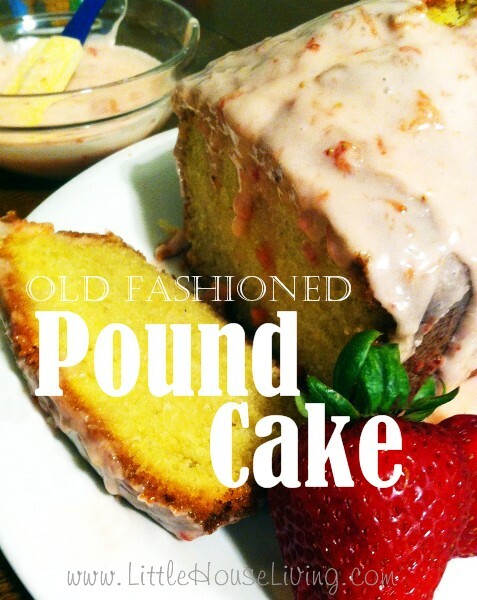 I love all things vintage and old-fashioned, so when Merissa suggested that I try and make this old fashioned pound cake recipe from a 1940’s cookbook, I was very excited, even if I was also a bit intimidated. 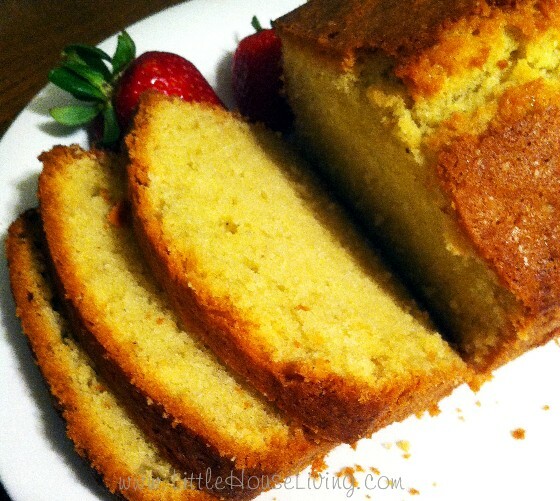 Confession: this is my very first homemade pound cake! A few notes about this recipe. First of all, I looked up several other pound cake recipes to compare and this one wasn’t like any of the others. The more other recipes I looked at, the more I worried that this one would be a colossal failure! However, I mostly followed the recipe and instructions and it turned out just lovely. In fact, it was a huge hit, and the whole family loved it. In large mixing bowl, cream Butter. Add sugar and beat well. Stir in beaten egg yolks and nutmeg. Add to loaf pan or bundt ban and bake at 350 degrees for 1 hr. Typically, pound cake is served without icing because of it’s richness. However, I had some strawberries that were calling my name and I just couldn’t help myself, so I made a strawberry glaze to go with ours. Cream butter in a mixing bowl. Add 1 cup powdered sugar, and mix well. Add remaining powdered sugar, alternating with milk until desired consistency is reached. Finally, mix in 1 tsp vanilla extract and strawberry puree. If glaze is too thick, add additional milk 1 tsp at a time. 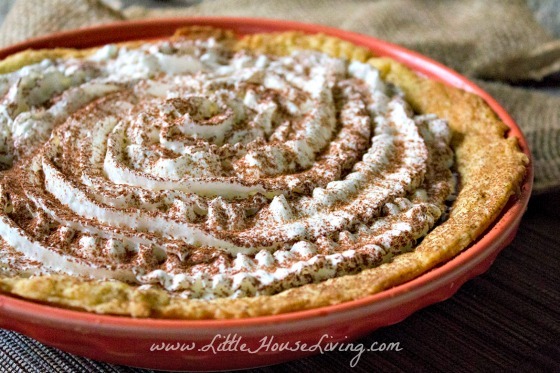 If it is too thin, add additional powdered sugar 1 tbsp at a time. Enjoy this delicious pound cake with your favorite fruit, with the strawberry glaze above, or plain with a bit of whipped cream! 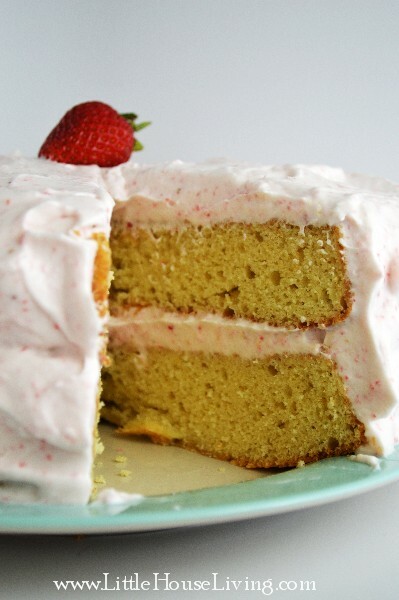 What is your favorite cake recipe? Does the lemon juice serve a chemical purpose, or is it just for flavor? I am allergic to it, but the rest of the recipe looks delicious! Dana, would you be able to add vinegar instead? That should work the same and you won’t taste it in the bread. I definitely can use vinegar instead! I was just wondering if it would cause problems. Wow, this looks sooo good!! So glad you linked up with the Let’s Be Friends linkup today!! Thanks!! This looks so good and seems easy enough for me. 😉 thanks for sharing, Crystal! 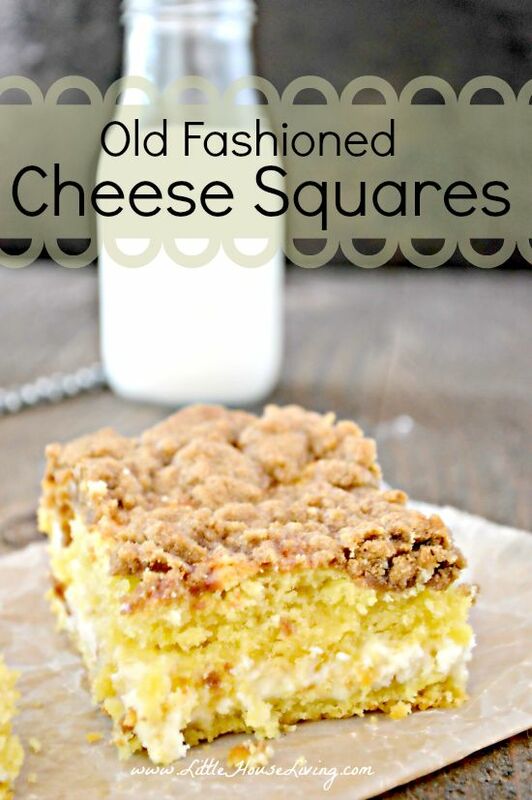 This recipe looks so yummy….pinned. My favorite cake is North Douglas Chocolate. This might be a favorite too.